I have been struggling with an illness for twenty-two years. I went through many difficult periods, and every day I had to deal with the symptoms. The doctor couldn’t diagnose me, tests and specialists didn’t turn up anything. I went to many alternative practitioners, from which I learned that none of them can diagnose either. I researched the web, and tried many things. Last month I decided to give (natural) turpentine oil a try. I started with a couple of drops and increased the dose gradually. Right from in the beginning I noticed improvement. Now, about a month later my symptoms are for 90% gone. What exactly it did, I don’t know. I can speculate, that my problems were due to Candida fungus in places where doctors normally do not expect it to be. 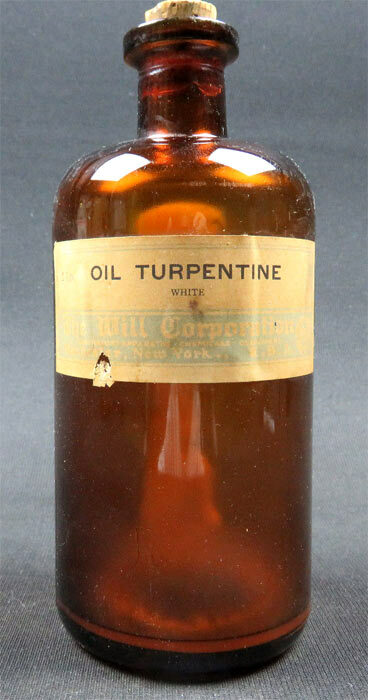 Turpentine is a strong anti-microbial essential oil, and works really good against fungi. If the Turpentine killed off the Candida that would be an explanation. The rest is my body slowly recovering and repairing the damage. The most important thing is that turpentine is the only thing that worked, so it must be something special. I looked a bit deeper in the healing properties of turpentine, the literature available, and to give a clearer perspective on the often misinterpreted toxicity of turpentine. You can find all the information that I have found in my article of Healing with Turpentine. This entry was posted in healing and tagged Candida, fungus, gum of turpentine, healing, pine, pine tree, spirit of turpentine, spirits, turpentine, wood turpentine. Bookmark the permalink.